If you scroll down to the very bottom of my blog page, you’ll see a few things. There is the standard search box you’ll see on all blogs, but I’ve cleverly hidden it in plain sight so you can’t easily find it, bah ha ha. Actually, I just didn’t know where else to put it because I didn’t like the look of it on my right tab column. There is also a job disclaimer that my people request we put up so that my words are not associated with the company. I totally get that, but I’m such a huge fan of donation, I’m happy to claim my words as my very own. Go sign up for organ donation people! But the other thing you’ll see at the bottom is the MyFitnessPal Ticker and My Tracy Anderson countdown. Both are at the bottom so as not to depress me on a daily basis. The Tracy Anderson 90 day countdown ended August 16, 2013. That counts as a super-duper fail. I didn’t get past Day 10. It’s just so hard. Whine whine, fill in whine here. And I don’t have access to a scale anymore. 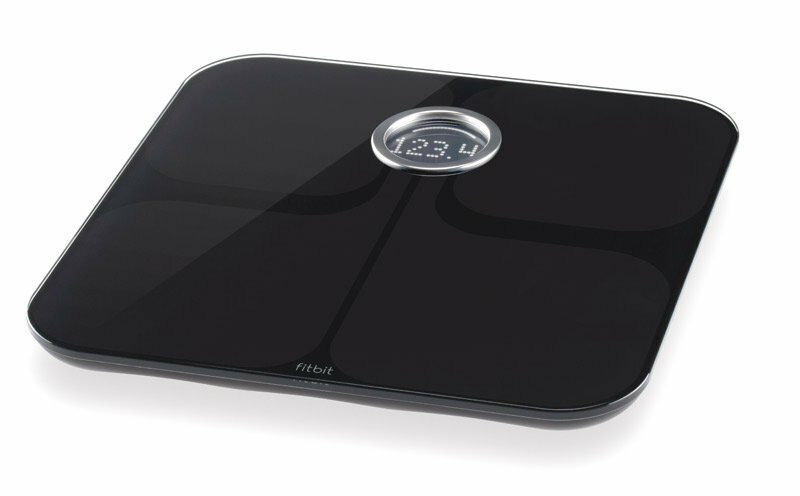 I intend on getting this cool bluetooth scale that goes with the fitbit. These were my intended birthday gifts. They still are my intended gifts, even though my birthday was three months ago. The husband and I are working it out. Perhaps if I can avoid Queens in general and potholes specifically, I would’ve had my birthday gift by now. Stupid Geico insurance deductible. Moving on. Because I don’t have access to a scale, I have no idea what I weigh. But I’m almost certain I’m at my highest weight ever. Seeing as how I never really effectively kicked off the weight loss in the first place, that’s less upsetting to say than you’d think. Working 4p-midnight is detrimental to my life plans. I’m not a morning person, so I struggle to get up before noon. I’d have to get up and start working out by 10 am to have enough time to really workout and get to work on time. And now that I’m helping babysit at the home I volunteer at, there’s even less time. Weekends are out because of the soup kitchen and church. Having said all of this (what kind of jerk has 300 words of introduction? ), I have a plan to kick-start my new healthy New York life. This plan includes spending money, but not a lot of money. Amazon Local has all these great options for things to try. Normally, I would look at it for deals at restaurants and cool live events. But then I thought, why not use it for purposes other than taking in hundreds of calories in food and alcohol? There are some really great deals available now too. When I was in search of adventure the other weekend, I considered finding a rock climbing place, but didn’t pursue it because most indoor places do belay, and you need a partner. Guess what? 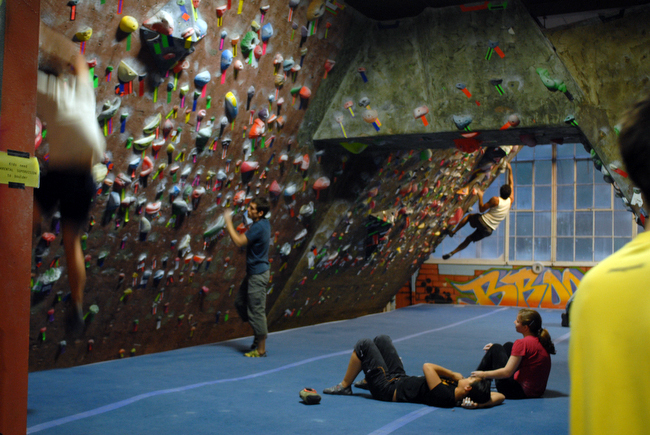 Amazon Local has a deal on the one indoor rock climbing place in Brooklyn. I checked out the website for Brooklyn Boulders, and it looks pretty cool. While I was looking around for deals, I also came across a yoga/pilates studio, a kickboxing class, and a ballet/zumba studio. All of these sounded interesting, but I decided to go with the kickboxing because that’s one I’ve never done before, but always found interesting as a concept. So I have pre-paid (at amazing discounts by the way) for a whole day pass at Brooklyn Boulders and 10 kickboxing classes at Village Kickboxing Fitness. Y’all know I love me some Greenwich Village, so any reason is a good reason to spend more time there. I’m hoping that pre-paying will really encourage me to make it happen. I have until the end of July to use the promotional offers, but I intend to get started on them within the next few weeks. It’ll give me something to do while the husband is gone for the month of February. I used to rock climb at this place that was in a south suburb of Chicago, but that ended when I grew my nails out for the wedding. You simply can’t rock climb effectively with long nails, and I grew them pretty long y’all. But now they are shorter, though still nice. If I really like the rock climbing, and if I can find someone to commit to actually going with me, I’ll keep the nails short. With any luck, rock climbing and kickboxing will add some variety to a workout that I already enjoy (but, ahem, never make time for), and I can finally get back on track with exercising. I’m doing okay diet-wise. I’m not on a “diet” per se, I use the word diet simply to refer to the food I choose to eat. I’m doing this pseudo vegetarian thing now. I barely eat meat anymore. I certainly haven’t lost the taste for it, I just choose better options, like black beans or chickpeas for protein. And if I’m successful with my 30th birthday bucket list (which I promise to write a real post about soon), I’ll be able to add tofu to my list of protein options. I don’t do too much in the way of frying, and I haven’t eaten any fast food aside from the occasional french fry in months. I just feel better when I’m not eating all that processed food, you know? So I am going to risk the craziness and officially reset the 90 day countdown. Just so you know, this is not a 3 month thing, it’s 90 days of working out. I have to assume that I’m not going to work out more than three days a week. Let’s be honest here I don’t have the time or the motivation. But I’m going to set a timer for 90 workouts at three days a week. Maybe some weeks I’ll do more and that will balance out the weeks I’m sure to do less. I will also count those kickboxing classes and the rock climbing, which could turn into a membership as well. So yup, I’m spending money in an attempt to look and feel better. If I were rich, maybe I’d be getting liposuction and hiring a personal trainer. I guess it’s a good thing I’m not rich because that just sounds like too much, right? Wish me luck, y’all. Here I go again. Day 90 is… August 27, 2014. Damn, that seems far away. But it’s not really because that’s with me exercising only 3 days a week, so that’s 30 weeks. I think that’s a more reasonable goal because it lifts some of the pressure to try an exercise 6 times a week, which I was never able to sustain except when unemployed. And if I”m doing it over that period of time, it will hopefully become a real lifestyle change. The Tracy Anderson Metamorphosis program continues after the initial 90 days, and she has a pregnancy workout plus a post-natal workout. So none of my life plans should interfere with the success of this. I’ve written myself into excitement for the possibilities. If I do the home workout 3 times a week, swapping out one day every two weeks for a varied activity, it could work. I can attempt running again once it’s warm outside. I have this amazing book Born to Run, available on Amazon to thank for even feeling like I could do this cause I kinda hate running. 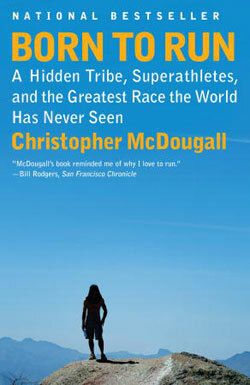 Read this book, and you’ll feel like you could become a supermarathoner. Or at least make it around the block more than once. I can also try ballroom dancing again. You should try to polka for more than 10 minutes straight and tell me that’s not a workout. Maybe I can even go back to hot yoga, which I truly loved deep down in my heart. Any day now, or rather in like 7 months, I’m going to look and feel amazing. You just wait and see. I can’t wait to start complaining that none of my pants fit anymore. Well, that’s actually a current complaint because they’re kind of tight, but I’m hoping for it to turn into a complaint that they’re too loose. Day one begins today. Anyone want to join me on MyFitnessPal so we can encourage each other? This entry was posted on January 30, 2014 by Chicago-Style Girl. It was filed under Exercise and was tagged with Brooklyn, Greenwich Village, healthy talk, home, work it.